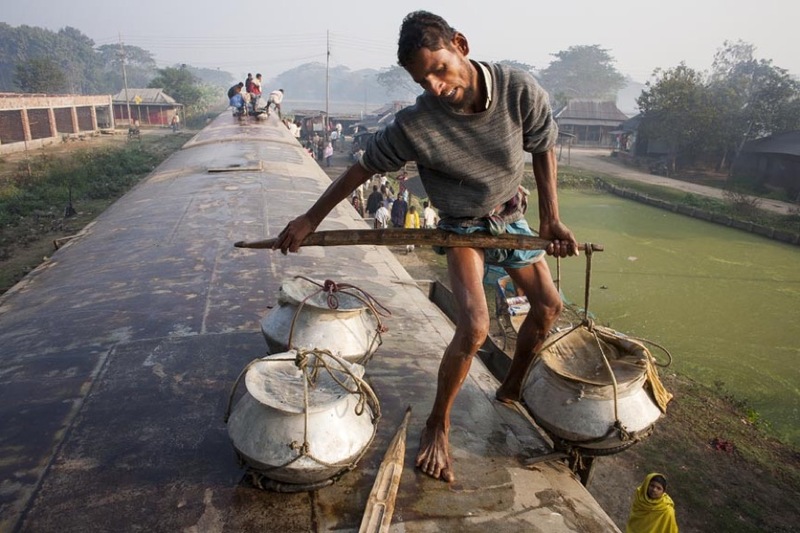 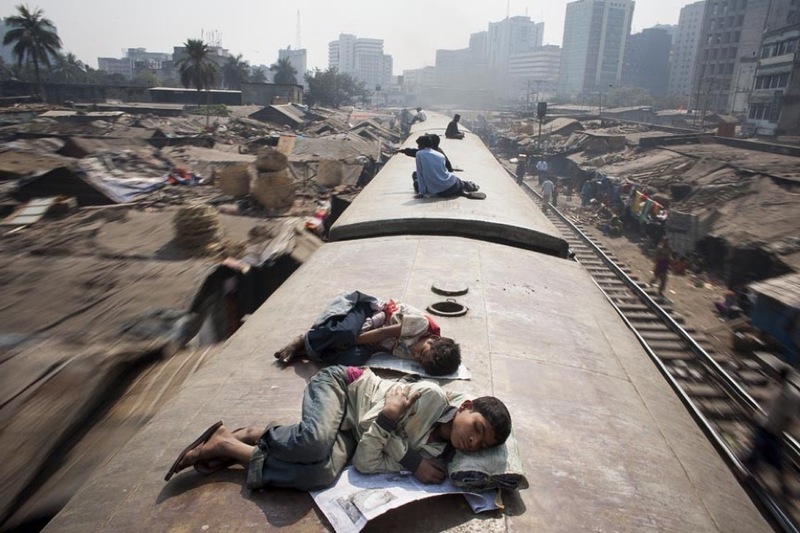 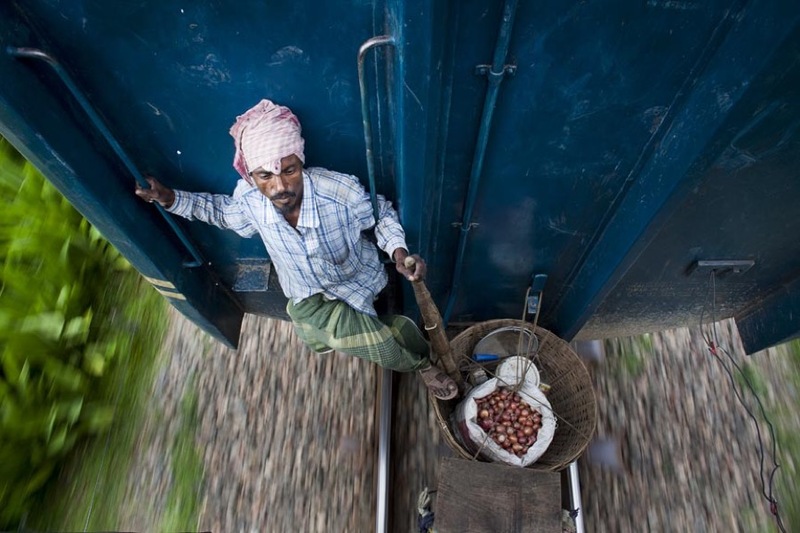 With over 100 international awards to his name, Bangladeshi Photographer Gmb Akash documents the tough and dangerous lives of Bangladeshi workers as they go about their daily commutes.We’ve seen the best and worst of commuters through the ages, but Gmb captures a new level of danger in this photo series named “Nothing To Hold On To” . 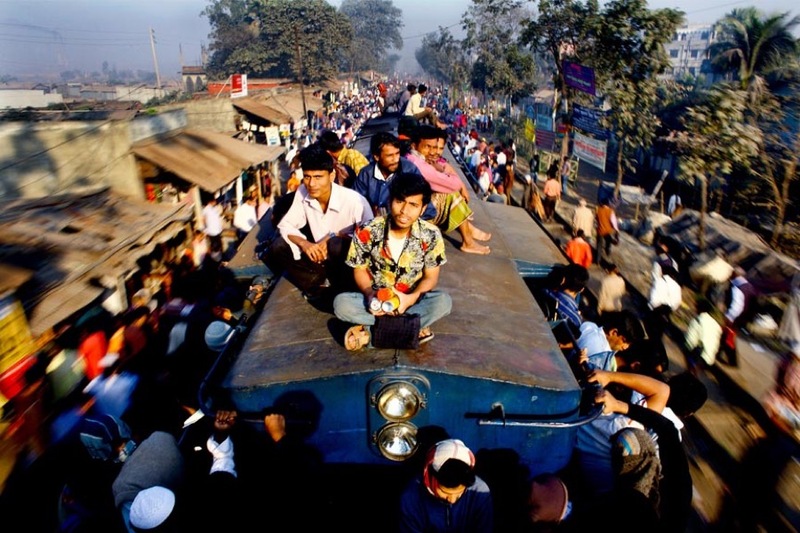 With trains so overloaded passengers clamber onto any part of the train they can. 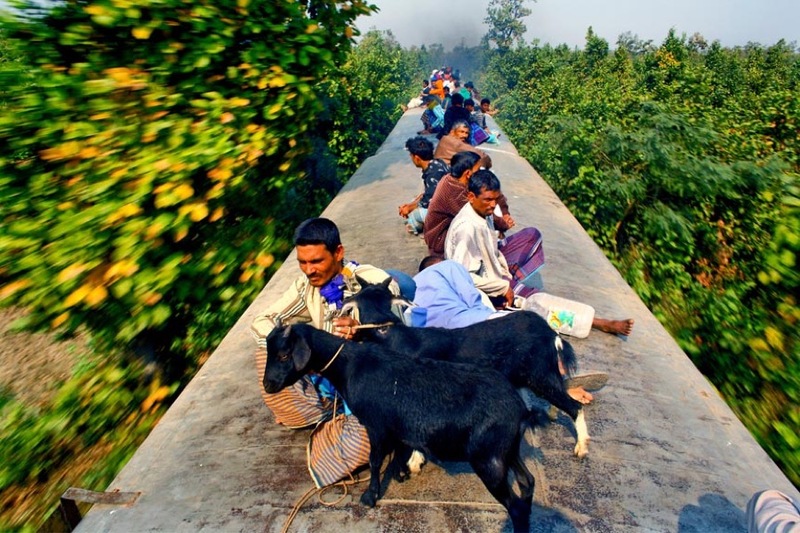 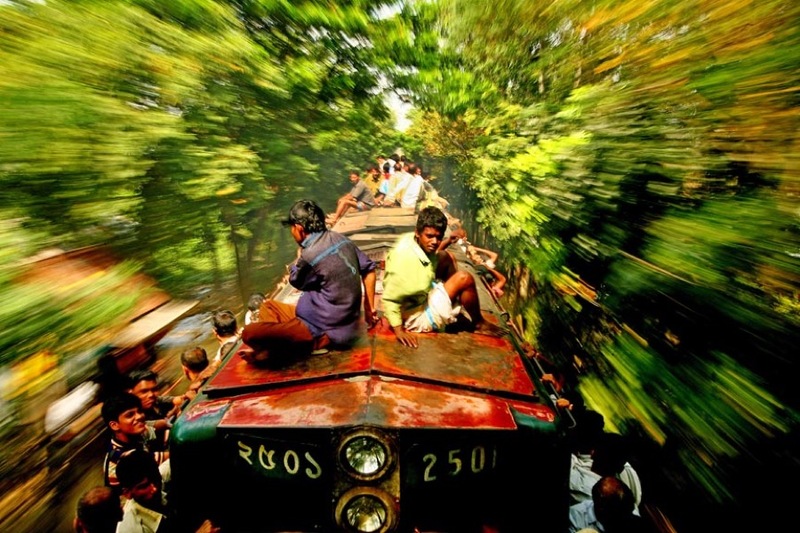 Risk to life is high as people sit on the roof dodging low obstacles and between the wagons experiencing very bumpy rides at high speeds.